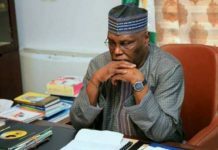 Atiku is not interested in a tenured presidency: this was even attained by His Excellency, Goodluck Jonathan, the man he (Atiku Abubakar) verbally trashed during his manifesto presentation at the 2010 Presidential Primary election of the Peoples Democratic Party (PDP) at the Eagle Square in Abuja, the same (Jonathan) who also thoroughly embarrassed him at that polls by beating him square and straight. Nooo! Atiku Abubakar wants more than a tenured presidency to satisfy his inordinate ambition. 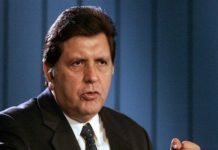 In his thinking, he has always been in his own class from the beginning, but nevertheless, there has always been what throws him up as being desperate to be President, and a good reading of this desperation ought to call his ambition to question. Atiku wants power to enable him change Nigeria’s times and laws to suit his “taking over” as Mr President. A few Nigerians, no more than 5 Nigerians likely, including yours truly, Atiku Abubakar and Bola Tinubu, who know the enormous powers resident in Nigeria’s presidency – yours truly got this knowledge by a selfless study of the Nigerian constitution. As far as our laws are concerned, Nigerian’s president is ahead of his opponents in any election involving him by 35% of votes cast by the laws themselves – only a smart politician can measure this appropriately to ensure his victory. Olusegun Obasanjo made this observable when he made Professor Maurice Iwu the Head of the Independent National Electoral Commission (INEC), unfortunately. Today, he talks about “a war” if the 2019 elections are “rigged”. Who warred with him when he massively rigged in the PDP into the governments of the south west? He is joking with treason a second time. He may not survive his ordeal to return alive this time. Now let me remind us of the Yakubu Gowon administration, spanning from the late 60s to the early 70s – the longest administration that served the Nigerian nation: it was at that time that 1 United States Dollar ($1) was exchangeable for 75 Kobo (N0.75). Yakubu Gowon, at that time an Army General, 32 years old, a bachelor and Nigeria’s Head of State, posited that “the problem with Nigeria is not the lack of money, but the lack of what to do with money”. How did a clueless 32 years old bachelor get to lead Nigeria son stupidly…no one can tell but our porous laws. That was how rabadly we started our governance operations – by our laws not providing a strict governance template for our economic development as a people – like stipulating that budgets on development must not be less than 75% of total annual allocation, and to streamlined our recurrent budget to make the balance 25% manageable for sustenance. Clearly, it is agreeable to all that this is exactly what the problem is with every administration in Nigeria – lacking what to do with our money. Our laws do not provide nor do they compel our leaders to focus on tangible application of resources for the benefit of all. Our presidential power enables a very crafty man to get away with ANYTHING legally. 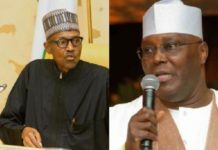 This is for what the heavens have long rejected Atiku Abubakar – he is too crafty to be entrusted with presidential powers in the face of our porous laws. It was him (Atiku Abubakar) alone who caused the failure of Obasanjo’s “Third Term” bid. That would have made Obasanjo a Life President. It was to be an unending presidency for him – it was possible. Atiku Abubakar was as interesting in that third term ambition as was Obasanjo, when he was still yet to get his first. Funny enough, majority of those who are rich, and this is saying it truly – that majority of Nigerians who are rich are so because they applied the money they have, whether legally or illegally, to investments, and they are successful in them. Nevertheless, the rich Nigerian is not interested in communal prosperity, he believes more in his personal aggrandizement. For him, the poor must have to continue to stay down for them to also continue to stay up. Very sad indeed! This is naturally so because the law that should regulate our leaders consequentially is not alive in spirit and so its letters become negligible by the rich and powerful. Even Section 16 Subsection 2(c and d) of our constitution, under the economic objectives of government, have been grossly abused without cause and made ineffective. That provision of the law has to do with providing for the less privilege and the unfortunate. Scripture say “what shall it profit a man to gain the whole world and lose his soul?” Even nations have their souls and this souls can be lost. No matter the sufferings we endure from bad political leadership in this country, we must cherish our termed and tenured presidential provisions. God will not let us fall into the hands of marauding spirits from the high places that are ruling the dark world. I still remember how Atiku Abubakar made Obasanjo an “Ajala Travel” to give him the space to sell off our economic assets, taking over both the political and economic powers of Nigeria from Obasanjo. Obasanjo had to go down on his knees to take these powers back from Atiku. It is clear now that Olusegun Obasanjo hates Nigerians for endorsing Atiku Abubakar. He thinks only about himself. 1. That Atiku Abubakar has come the closest to becoming the President of Nigeria this time around but he will fail woefully and go home at last. He is one of the few who understands the extent of the powers of President Buhari. He know President Buhari can only lose the presidential election if he does not know how to apply his presidential powers appropriately or applies it inappropriately – he will not be like Jonathan who went Night clubbing in every Nigerian State spraying dollars inside Nigeria. Why would not there be a recession shortly after his deposition? So Atiku intends to count on the “unintelligible mistakes” President Buhari would use his presidency to make to take him captive as his prisoner of war. Atiku is not on the PDP ballot in the 2019 presidential election to win by ballot. His plan is to take the presidency in court and he is investing so much in technology. This was the essence of the Dubai interactive with his team of dark manouvers. 2. Atiku Abubakar is interested in the presidency, not to serve for the constitutionally provided number of years. Atiku’s promise of “restructuring” Nigeria is nothing more than his intention to change our laws and our times to suit his narrow minded narrative – Atiku is a businessman, a successful business man who sees Nigeria’s wealth as a business commodity he can freely plunder. Before he becomes President, Atiku Abubakar must be patient until we get our laws rightly straightened out under the All Progressive Congress (APC). 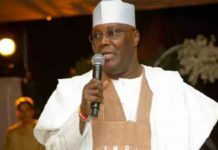 Atiku is rich, he is one rich Fulani man whose wealth dwarfs Aliko Dangote’s wealth – are you surprised? Aliko is a trader, Atiku is a rent collector. Aliko makes money by investments, Atiku picks money up by substantive substantive privilege. Aliko was taught to make profit and pay his taxes, Atiku was trained in monitoring investments and taking taxes. Their wealth is incomparable. 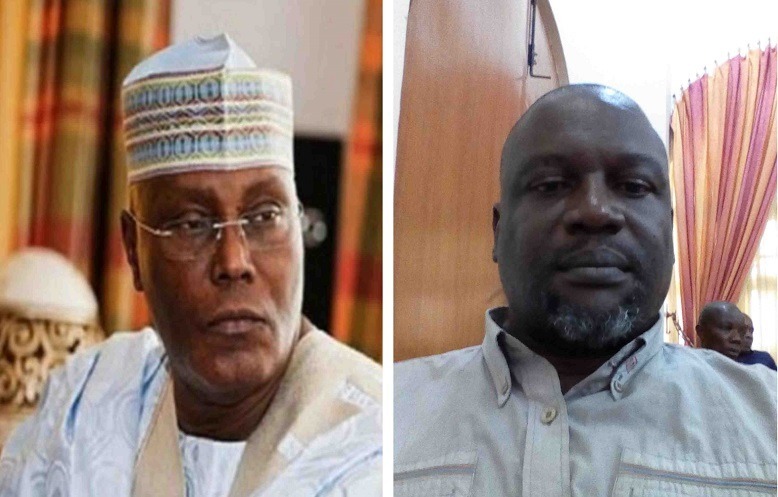 Aliko’s wealth is processed and documented, but more of Atiku’s wealth, as a politician, are kept, likely in cash, locked up in bunkers and vaults. So Atiku Abubakar’s restructuring agenda will ensure he sits over Nigeria like Robert Mugabe sat over Zimbabwe. The 8 year tenure allowed by the Nigeria’s constitution confers no such domineering intentions to lure Atiku Abubakar. Nigeria is rich, but her leaders do not know how to apply the nation’s wealth. Atiku Abubakar will use it to buy up the people and install himself the life President of Nigeria. He has enormous capacity to get there if we allow him. The greatest gift of Satan is his subtilty, and every crafty leader can have his ways easily among compromised mindsets. The best chances Atiku Abubakar had at being President was in 2003 and 2011, but because the heavens have rejected him, he lost both opportunities to his opportunism – he who the gods want dead, they first make blind. He lost it all and finally in 2011. He was the President who should be if he had stood in the place of Nuhu Ribadu in 2011. Does he see President Buhari as Goodluck Jonathan? 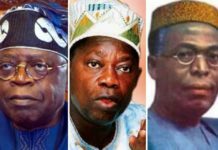 Is Bola Tinubu, who has Mr President’s ear, like Edwin Clark who had Jonathan’s? One is a political strategist, and the other an ethnic consumer. Atiku’s worst moment in seeking Nigeria’s presidency is NOW. His aspiration will elude him, and his candidacy of the PDP will exclude him politically forever. No one will take a man who visits his vomits as a grandiose attitude seriously: he has shown severally to be reactionary and unreliable. Olusegun Obasanjo is another man who loves going back to his vomits – rash, shameless and unpredictable. They are all characterized like PIGS in human nature. They cannot be trusted. God called President Buhari and the APC for a political procession. Nigeria is heading towards righteousness in the leadership of the nation. We are on a detour from socioeconomic stagnation and retrogression. We are detouring from heading towards destruction and removing towards salvation. No U-Turn is comfortable. It closes down potential futile hopes, ensuring adaption to new things. Take note: adaptation has never been a comfortable biological experience – it is a destruction of comfort zones. So the pains, hunger and deprivations that the Buhari presidency seemingly represents is nothing but the discomforts of rebuilding the faulty foundations of a house in winter. “Weeping (will surely) endure(s) the night, but joy (will surely) come(s) in the morning”. This is the word of God to all Nigerians. Trust in the lord and in the power of his might. He caused Muhammadu Buhari to make these sufderings happen to us as the Mosaic laws happened by Moses to the Jews. Nigeria has its problems indeed, the paramount problem this country has is in her laws. Leaders do not know what to do with our wealth because the laws only provide for them to SHARE the wealth. No law provides or forces our leaders to invest our wealth consequentially. No law! Our national budgets are for sharing; and the excess money they use in “padding” – at 70% consumables and 30% development. This has been so since the Obasanjo administration in 1999. 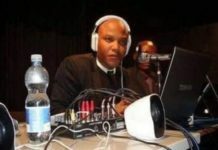 One man has over 200 office, personal, special, senior special assistants, and special advisers, mostly recruited from the ranks of cultists and prostitutes; and placed on government payroll. It will be a carry go for Atiku Abubakar’s life presidency in Nigeria should he win the election coming up in a few days: then our police system will “look the other way” while cultist and prostitutes maraud. Then he (Atiku) will reinforce the reign of cultism, prostitution and thuggery in our politics to consolidate his hold on power. Let us all look at Robert Mugabe over Zimbabwe when considering Atiku Abubakar as our president, then we can appreciate why we must all go out there to our polling units across Nigeria and vote President Muhammadu Buhari and all the APC candidates in the Saturday 16 February elections. Hear O! Nigerians!! Our God is One God!! !